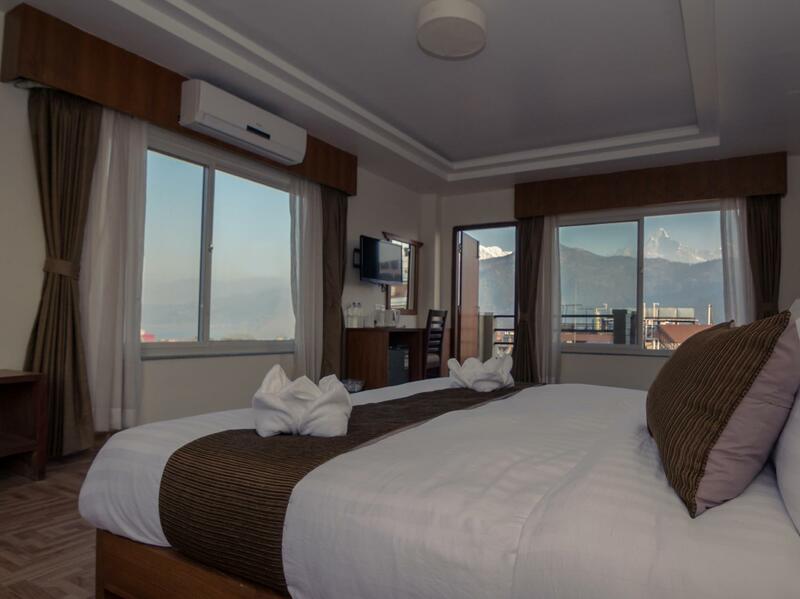 Το Mount View Pokhara Hotel, στην περιοχή Λίμνη Πιούα σε Pokhara, αποτελεί δημοφιλή επιλογή για τους ταξιδιώτες. Σε απόσταση μόνο 0.3 Km από το κέντρο της πόλης, οι επισκέπτες βρίσκονται στην κατάλληλη θέση για να απολαύσουν τα αξιοθέατα και τις δραστηριότητες. Από τη βολική της τοποθεσία, η ιδιοκτησία προσφέρει εύκολη πρόσβαση σε κορυφαίους προορισμούς της πόλης. Με τις υψηλού επιπέδου υπηρεσίες και την μεγάλη ποικιλία ανέσεων, το Mount View Pokhara Hotel δεσμεύεται ότι η διαμονή σας θα είναι όσο πιο άνετη γίνεται. Τα δωρεάν WiFi σε όλα τα δωμάτια, υπηρεσία ταξί, υπηρεσία εισιτηρίου, 24ωρη ρεσεψιόν, φύλαξη αποσκευών είναι μόνο λίγες από τις εγκαταστάσεις που κάνουν το Mount View Pokhara Hotel να ξεχωρίζει από τα άλλα ξενοδοχεία στην πόλη. Απολαύστε ανέσεις υψηλών προδιαγραφών κατά τη διαμονή σας. Ορισμένα δωμάτια περιλαμβάνουν επίπεδη τηλεόραση, δωρεάν ποτό καλωσορίσματος, καθρέφτης, τηλεόραση στο μπάνιο, πετσέτες - ό,τι πρέπει για να αναζωογονηθείτε μετά από μια γεμάτη μέρα. ΟΙ ψυχαγωγικές δραστηριότητες του ξενοδοχείου, οι οποίες περιλαμβάνουν τις κήπος, είναι σχεδιασμένες για να χαλαρώνετε και να ξεφεύγετε. Όποιος κι αν είναι ο σκοπός της επίσκεψης σας, το Mount View Pokhara Hotel είναι μια εξαιρετική επιλογή για την διαμονή σας στη Pokhara. Very good front desk staffs, can help to book one-day trip and airport delivery in reasonable price. Good elevator and breakfast. The top roof can see the mountains, if the weather is good, it's rather a fantastic scene. 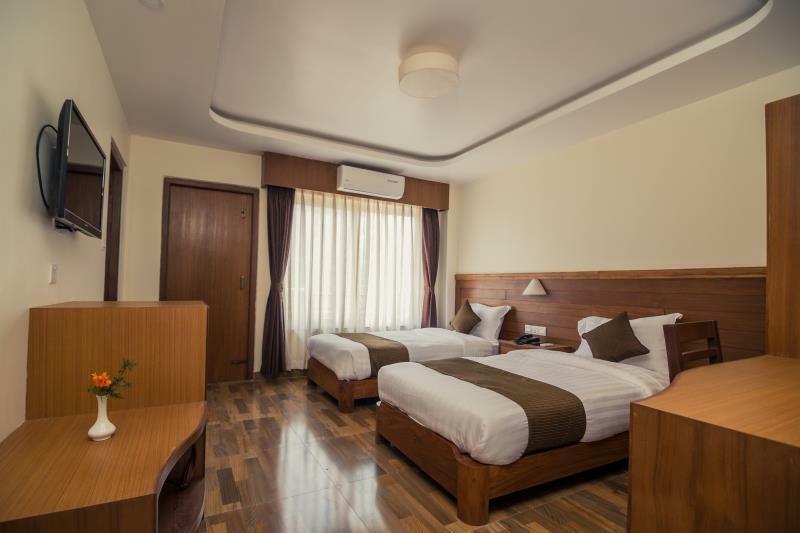 LOCATION: Near to key places - 5-min drive to the airport, nearby meditation centers, walking distance to the shops and lake side, and minutes away from the public bus / taxi station. *Suggestion: If you want to see the mountains, lake, and get direct sunlight to your bedroom, get the top 2 floors - back side so your view won't be blocked by the hotels in front (Hotel White Pearl & another one...) VALUE FOR MONEY: Comfortable stay at a reasonable price. Deluxe room with balcony is really spacious. *Suggestion: If you like Western food, think twice before paying for breakfast. Choices available at the time of my stay: Sausages, eggs, boiled potato herbs, cheese potato, cereals / muesli with thick milk (? ), different kinds of bread, vegetables, very very thin pancake, and fruits. For 5 USD / 550 Rs it was so-so. I would suggest to have breakfast outside. CLEANLINESS: Overall the room was clean. No complains except for the bathtub which I'm not sure if it was thoroughly cleaned since there were still some marks on it when I got there. STAFF: Very friendly, helpful, and hospitable FACILITIES: Basic hotel amenities without the gym. But really needs work: Wi-Fi was slow on the 5th floor, balcony not as spacious (unlike hotel White Pearl) and the chair take so much space. Best to also have chairs and tables on the roof top where guests can chill while enjoying the sunset / sunrise Overall, I like it here! Definitely will stay here again. I felt relaxed after a long trek! Nothing more important than having a hot shower after finishing long trekking, this hotel could fulfill our wish. The waiters, waitress and reception lady have good smile and very helpful. The rooms are clean, new and with sunshine. I appreciated the fresh welcome juices and hot milk coffees. Pros: very clean, very nice and helpful staff, walking distance from shops and restaurants, nice view of mountains Cons: limited hotel parking, a/c wasn’t cold (probably just needed servicing), bathroom floor stays wet because tile is sloped the wrong way I’ve stayed in more expensive hotels in Pokhara, and I am willing to put up with these minor things to save $50-70 a night. Everything that should be with a hotel room satisfied with one exception. There was no safe in the room for valuables; neither was there a safe deposit box at the front desk. Leaving documents and assets with the mgr. was unacceptable. Extra points for the large bottles of water. The restaurant menu was good and the wait staff were very nice. This hotel is a completely value for money. 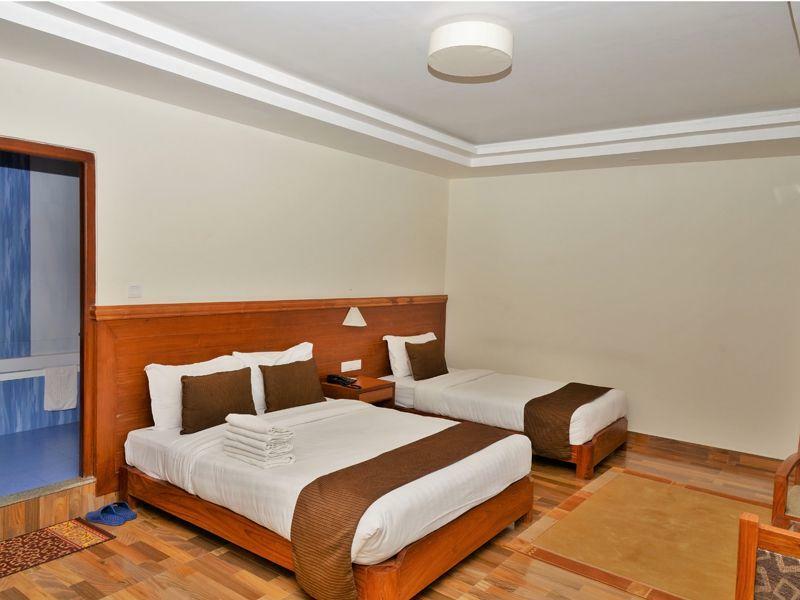 It is quite a new hotel at a vwry convenient location and their facilities are super clean! The room was specious and had delicious breakfast tagged with it! I spent two nights here and was really glad to stay for two nights. It's close from the lakeside, just around 5 minutes by walk, where you can find almost anything you need from restaurant and cafes, pharmacy, bookshops,trekking stuffs. And of course the lakeside itself is amazing to chill out or have beers or coffee or just walk. The best one is the staff are nice and helpful. We came to Pokhara in January when the temperature was cold but not freezing. Although there was a heating unit in the room, it failed to heat the room to a comfortable temperature, even if left on overnight. The internet was incredibly slow; slower than dial-up speed according to my computer. We had a top floor mountain view room that was slightly marred by the construction of a taller building between this hotel and the mountains. All rooms have a balcony. When booking the room i requested for mountain view which was given to me, but only when i opened the door. Other than that, the facilities were brand new, i had constant warm water and the room is great. The hotel is located in a small alley but it's only less than a minute's walk away from the main street. And good food like moondance was nearby. My only gripe was the view which i paid for and didnt get. We booked this room n they gave us different room, shower wasn’t even hot. Shower curtain was so mouldy. We left our bag downstairs n left coz early to check in. We arrived late afternoon and I expected our bag should be on the room but it wasn’t. Our bag was just lying next to reception. I was disappointed. We stayed here for a night at Rm 503. We were first given Rm 405, but we didn't like the view from the room. And the staff were very helpful and changed our room. Good location. Couple of minutes walk to the shops in Lakeside. 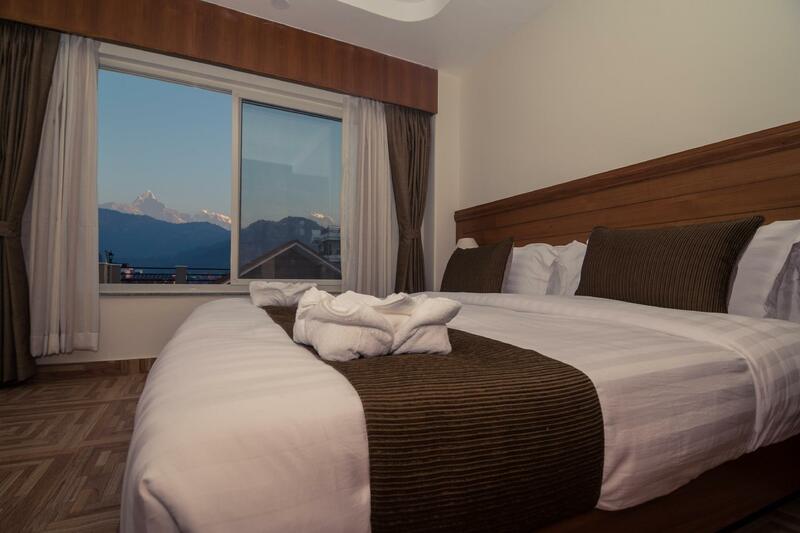 This room was perfect for the view of the mountains as well as the Fewa lake and hills. Shower curtain was old and dirty. The carpet wasn't vacuumed. Other than this, it was perfect. The staffs were amazing. The breakfast buffett wasn't to our liking. There weren't many dishes. I would definitely stay here again but will opt out for the breakfast. And the food and drinks prices were a bit too pricey. There are cafes and restaurants near the hotel where you can go. Overall, a good stay. Location isn’t great, view to other tall buildings and hotels and quite noisy. Also pretty expensive compared with what you can get in the north side of the lake. Stayed at this hotel just for a night. You can catch a very beautiful scenery right from your room. Location is slightly isolated. If you are looking for a place just to relax and not do much at all, this is where you should go. Not sure if it is disable friendly though as climbing lot of stairs is required. Really nice hotel. Good value for the money. Clean, friendly, nice beds, bath tub. Good mountain view from the rooftop. The only thing that we missed were some where to hang jackets or similar in the room, and that the room were more sound proof. Great clean hotel for a very cheap price. Air conditioning actually works!! Bishnu and the staff were very helpful. Breakfast buffet very high standard. Overall, a quality stay, will stay here again in the future. Don't stay anywhere else. This is the place to stay. From the manager all the way down to the cook, thier staff is like your family. Every moment was devoted to my satisfaction and pleasant stay. I have stayed at hundreds of hotels around the world and I have not seen this much love for the customer. They have there own drivers and taxis , so I booked all my tours with them at a way lower cost than booking outside at the agency. I did go out to ask several agencies for prices and they were much higher price than what the hotel charged. Food was great at breakfast also . Very large buffet style and beautiful atmosphere for breakfast. They dropped me to my bus for lumbini and also arranged my flights from lumbini to ktm. Such a perfect hotel. I can't say enough good things about this place. The room was a gem and very clean. Hot water/AC was great. I would go back there next time I'm in Pokhara. 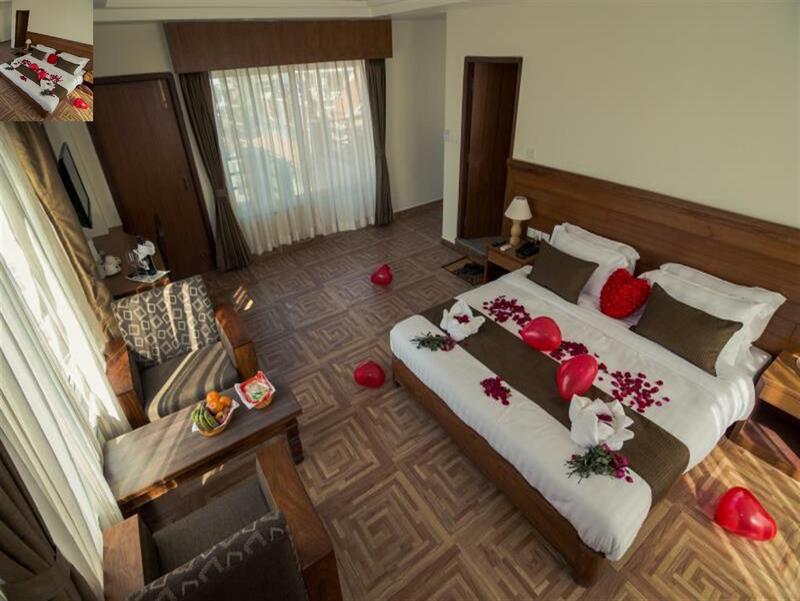 Just follow my advice and book this hotel when you go to Pokhara. Trust me and you will thank me. The staff is the best all around in any hotel I've stayed at. Don't even go out to book your tours. 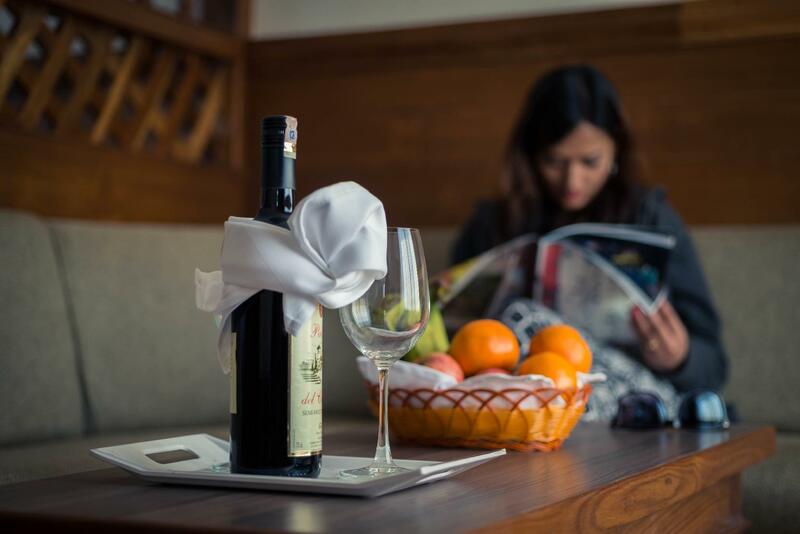 The hotel has a travel service and they offer the best prices for all tours. Krishna the travel coordinator , he set me up for all of the site seeing during my 3 days stay here. Breakfast is buffet style and had great masala chai. The entire staff I am overwhelmed by their service and attention that they gave me. I thank them for a outstanding job in treating me like their own family. It was a wonderful location within minutes to the lakeside with all the restaurants and lake activities. I would highly recommend it to anyone. One thing to keep in mind while travelling in Nepal is that hot water anywhere in Nepal can be inconsistent as I found in all three places I stayed. Yet I did enjoy sonsomenhot showers! Although solar panels are seen more frequently in Nepal now-far more than in the states. We booked here and didn't mind the price coz expecting it to be luxurious. Room was very basic. Hot shower only worked in the evening. I had to turn on the tap for almost 2 hours in the morning just to get slightly warm water. Breakfast is also disappointing. There are 2 staffs for the restaurant, but only the guy was working nicely. The woman there just looked around and barely functioned. We booked the mountain view room, and it was not worthy. 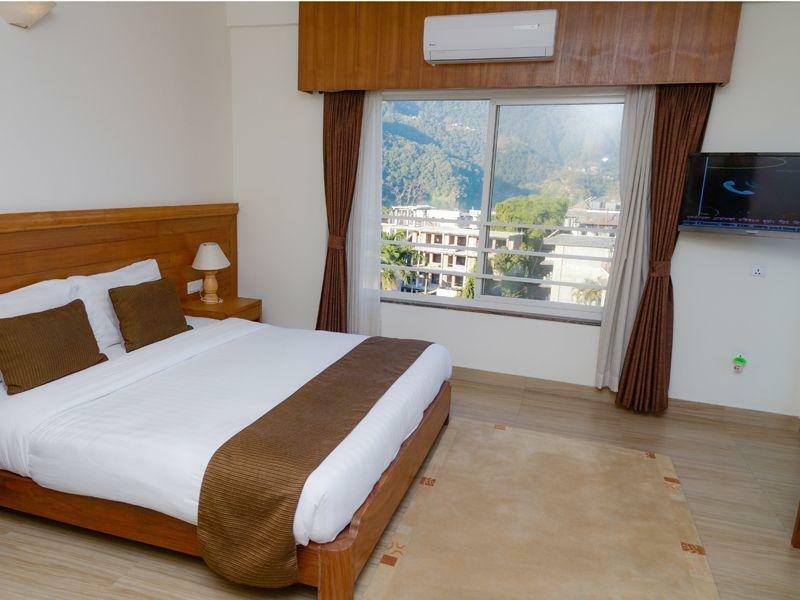 There are other hotels in Pokhara that are way better than this place. Never coming back here. Στάση Λεωφορείων Lake Side στα 0.36 χλμ.